Every house has spots where things just happen…regularly. 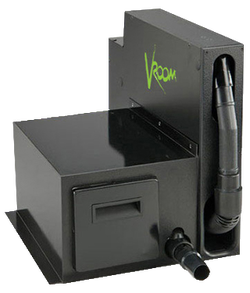 Spot is a 10′ long, flexible vacuum hose that lives in your wall and hooks directly to your central vacuum system. It is always there to clean up life’s daily messes. Pull it from the wall in one easy motion and it goes back as soon as you’re done. No more hunting for something to clean up a small mess. Spot is on the job. All you have to do is reach for the clean.